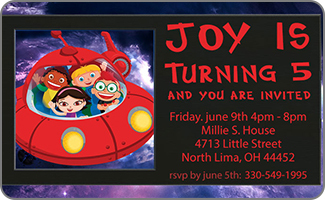 Little kids who are big fans of the Little Einsteins will love celebrating their big day with a Little Einsteins party. 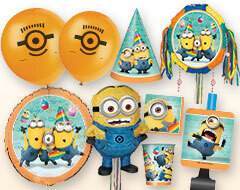 Our selection of simple and fun Little Einstein’s birthday party ideas in India will make that special day just right for your little birthday boy or girl. The Little Einsteins are surrounded by Classical music and works of art, so add that into the theme when you are planning. 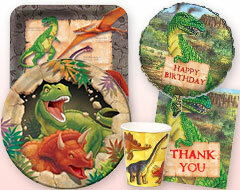 Consider a museum for your party venue. 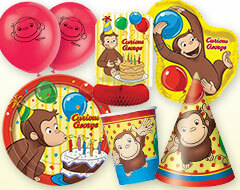 It fits the Little Einsteins theme and many offer party packages for kids. 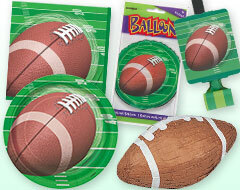 You can easily create a Little Einsteins party set-up in your own home as well with the right decorations. 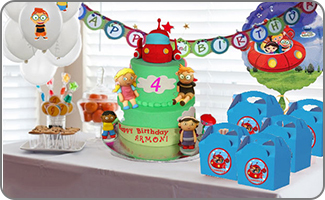 Your Little Einsteins birthday party can include an educational spin, just as the television show helps to educate children. You can order pre-packaged Little Einstein’s birthday invitations for getting all the information out to your child's friends in an easy way. 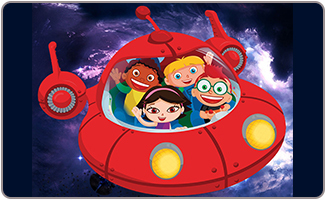 The Little Einsteins travel in a red spaceship, so use red construction paper and cut out rocket ship shapes. Then decorate and write in the information. Use wording to reflect the fun of traveling by rocket to learn more about art and music. Use expressions like "Blast off for a Little Einstein’s party". Set up a map on the wall and then give the children clues as to where in the world the Little Einsteins are. Place pins on the map as they guess correctly to represent the journey. Set up an art corner where all the guests can create their very own masterpiece, and then display them in an art gallery throughout the party. Organize a treasure hunt and call it a mission. 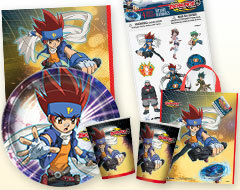 Give a list of items to find throughout the party area, and send off teams to complete the mission. Play musical chairs only with classical music. Provide musical instruments and ask the party guests to create a symphony that they can perform at the end of the party for their parents. 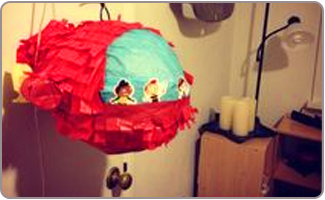 Hang a theme piñata in the shape of rocket in blazing red, filed with candies and goodie will keep kids entertained for hours. 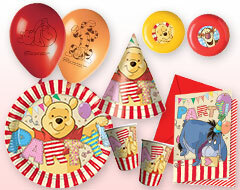 Create the perfect goodie bags for your Little Einstein’s party from theme based return gifts. An art set makes the perfect return gift for a Little Einstein’s birthday party, Put some paints, paintbrushes, and a pad of paper in a gift bag. A Little Einstein’s DVD makes a great return gift for small parties. Create an explorer's buffet by offering foods from different places around the world. Add a flag from that country to each food so the kids can learn as they eat. Let kids create their own work of art by providing sugar cookies, frosting, and a variety of decorating options like sprinkles and candies. Create a Little Einsteins birthday cake that rockets into space using a rocket-shaped cake pan and red frosting. 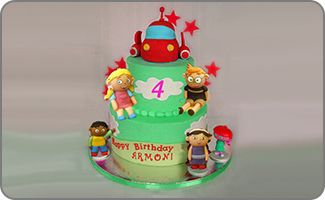 A Little Einsteins cake topper on a red and blue cake is the easy way to create the perfect cake. Set out animal crackers, goldfish, and other snacks with shapes and ask the kids to name each one. Cover the party table with mismatched teacups, a chandelier, oversized teacups, and even some mini teacups, like those you'd find in a tea set for dolls. 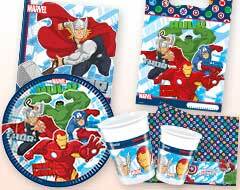 Choose from lil Einstein birthday supplies of ready to use Little Einsteins party decorations to make preparations for your child's party quick and easy. Decorate with rocket ships, musical notes, and printed off art images that you can hang from the walls. 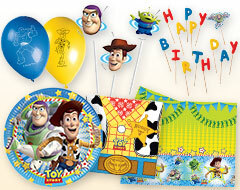 Balloons,streamers, birthday banners & garlands always make a party festive. Use a variety of colors to really create an artistic atmosphere. 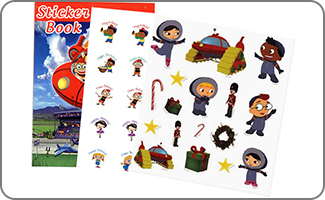 Create a space theme with planets, stars and galaxies, and of course the Little Einsteins flying through the sky in their rocket. 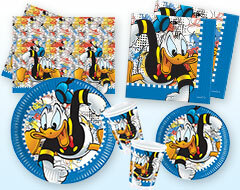 Adorn the table with solid color tablecloth in red & blue color or you can create a combination of both the theme colors. Let this color dominate your entire decorations.